We teach at a pace within each student’s comfort zone. 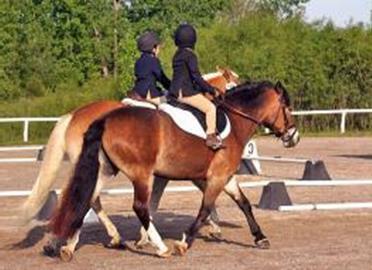 Capable and empathetic instructors are prepared to address the needs and occasional insecurities of the novice rider as well as proficiently advance the experienced client in their endeavors. We encourage realistic expectations and want students to enjoy their instruction. Expect to learn the whole horse experience. 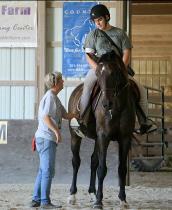 In addition to mounted work students will learn to grooming, tacking up, catching a horse in a pasture. 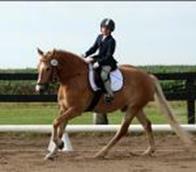 Mastering safe and proper ground handling techniques builds confidence & skills that are valuable when mounted. 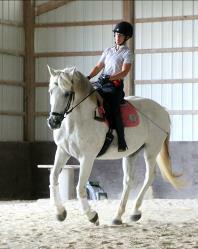 We accept children and adults ranging from beginners to advanced competitors in our lesson program. 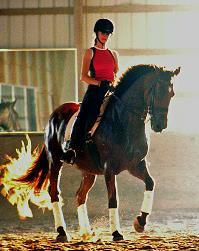 Our lesson mounts vary in size & training. 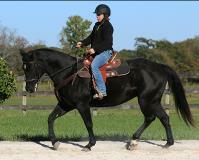 They are gentle, obedient & tolerant, suitable for riders from beginner thru advanced. Clothing must be safe and appropriate. Long pants are required. Everyone must wear an approved riding helmet. We have helmets available for student use. 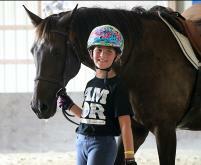 Riding boots are suggested but a sturdy shoe with a heel will suffice for your first few lessons. Please no shoes in the barn that offer little or no protection if a horse were to accidentally step on one’s foot: ie: crocs or flip flops. 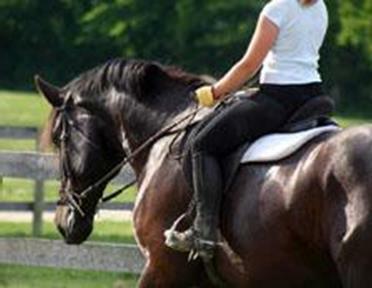 Purchasing one’s own riding attire is encouraged when you are certain of your commitment. Answers to frequently asked Lesson questions. What to expect during lessons…. 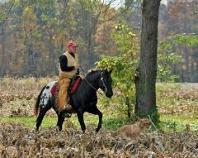 If you own a horse we encourage you to ride it if possible. Haul-ins provided a stall or paddock should you wish to stay a while to observe other lessons & activities.